08:00am pick up from Big Water Wheel of Lijiang Old Town, then you'll drive about 60kms to the First Bend on the Yangtze River with imposing gorge scenery, visit the Iron Chain Bridge, the Red Army's Long March Memorial Monument in the Shigu town. The town of Stone Drum got its name from a large, cylindrical, marble tablet shaped like a drum. The scenery is magnificent as the road running through the Lijiang valley which is filled with wheat fields and drying haystacks. 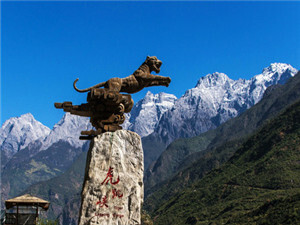 Continue to Visit the Tiger Leaping Gorge, upon arrival, star your trekking from Tina’s G.H ---- Half way G.H. ( 1.5hrs ) ---14km point ( 2hrs ) After the trekking, continue drive to Shangri-La (2hrs ) Check in hotel. 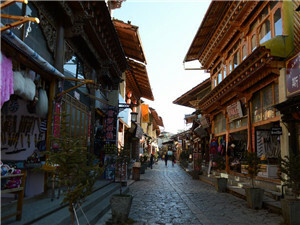 Then stroll around Dukezong Ancient Town, an important town of the Ancient Tea-horse Trade Caravan from Yunnan to Tibet and India. Walk up to the top of Guishan Hill or tortoise Hill, you will see the largest Prayer Wheel of the world and have a panoramic view of shangrila county and Dukezong Ancient Town. 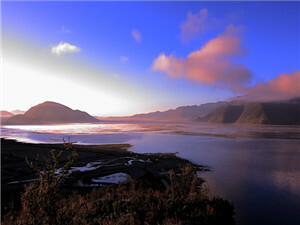 Morning star your tour from Napahai Lake eight kilometers northwest of the county town of Shangri-La. Many rare birds inhabit here among which is the well-known black-necked cranes, the first-class animal protected by the state and a lot of birds circle over the water from September to March of next year. It is also the largest grassland of Shangri-La covered with green grass. 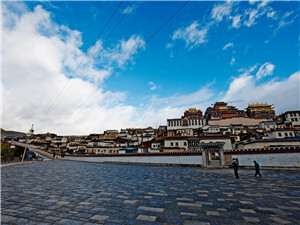 Continue to visit the Ganden Songzanlin Monastery, the largest Tibetan monastery in Yunnan. Songzanlin Monastery has another alias - 'the little Potala Palace ', so named because the whole monastery is in the traditional style with mysterious atmosphere. Then have a stop at a local Tibetan Family to know about their local life. 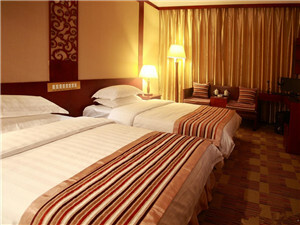 After the tour, about 15:00 you will transfer 4 hrs with your Chinese speaking driver to Lijiang. Upon arrival , drop off you at Big Water Wheel of Lijiang Old Town, service ends. We suggest reconfirmation in advance if only one person request this tour! In our join-in group tours with fixed departure dates, you will share tour guide and tour bus service with other participants. Our local guide will be speaking English during his/her service. When you book please provide detailed information of your full names, passport numbers, telephone number, etc. The information must be correct, actual and valid. We will check availability for your required departing date. If your required tour is available we will then reply with confirmation details. Refund will be by the same means you pay. If you pay online or offline by credit card, refund will take at least one month. You can consult your bank for refund progress details. 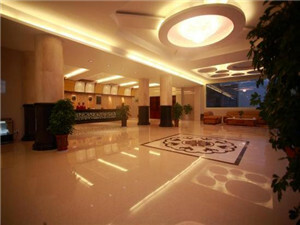 We will arrange for you to receive the services that you choose and that we confirm. These services will be provided either directly by us or through independent suppliers contracted by us. We are responsible for making sure that each part of the tour you book with us is provided to a reasonable standard and as was advertised by us, or as changed and accepted by you. The responsibility of us and its affiliated companies are strictly limited. We shall not be responsible for any wrongful or negligent acts, omissions, or failure to act of any suppliers such as those of surface, air, and water transportation, sightseeing excursions, cruise/hotel accommodations, or of any third party not directly owned or operated by us. If airline or cruise company change or cancel a flight/cruise, we will push the airline and cruise company to work out a solution, to change another flight/cruise for you. In this case we reserve the right to vary the sequence of sightseeing and/or to re-route the order of cities, or adjust the days in related cites but will ensure same arrival date in Beijing and same departing date in Shanghai. In either case, there are no refunds for any unused or unavailable excursions. By utilizing the travel services of the suppliers, you agree that you will look to such suppliers for any accident, injury, property damage, or personal loss to you or to those traveling with you, and that neither we nor any representative of us shall be liable. We reserve the right to substitute hotels of similar quality at any time or to make changes in itinerary of similar quality, flights, or cruise ships. Our local tour guides may arrange some souvenir shop visits during the tour. For every single group, local guide may adjust the shops described in the itinerary to meet the group members’ interest and demand. However, such visits will be strictly limited to only once in each city, unless extra shopping visits are required by group members. Please understand that not all museums and attractions are open every day of the year. We reserve the right to vary the sequence of sightseeing and/or to re-route the order of cities if that will enable you to visit all listed excursions. In either case, the itinerary content will be maintained to the extent possible and there are no refunds for any unused or unavailable excursions. 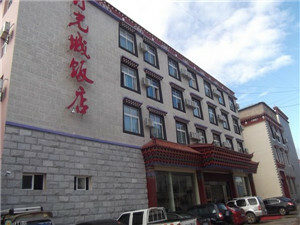 The Shangri-la Moonlight City Hotel (Xianggelila Yueguangcheng Fandian) is situated in Dukezong old town area, with rich living facilities in the vicinity. 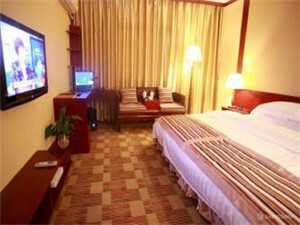 This hotel features various room types and all of them are fitted with free internet access. Chinese and Western buffet breakfast is also available for diners.